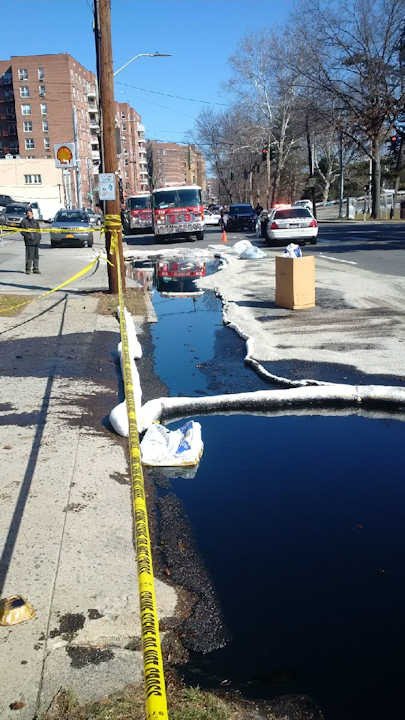 YONKERS, Westchester County (WABC) -- Firefighters in Yonkers were cleaning up Saturday after a leak from an oil delivery truck. 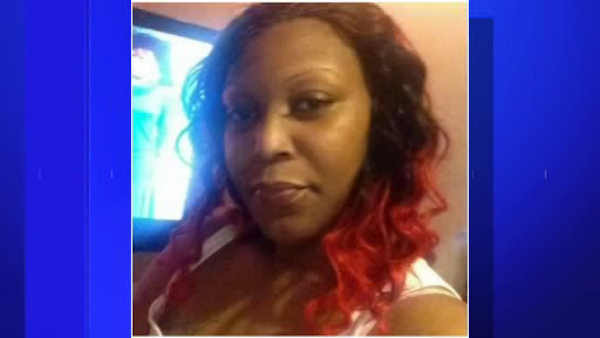 Authorities say the truck carrying 6500 gallons of heating oil began leaking at about 8:30 a.m. on Bronx River Road. The Yonkers Fire Department responded and slowed the leak, diked the oil on the ground, and collected about 1500 gallons of the leaking oil into containers. Approximately 2100 gallons leaked, fire officials said. Some oil entered the storm drain, and entered the Bronx River. An oil clean up company responded to pump out the remaining oil on the truck, and clean the spilled oil.